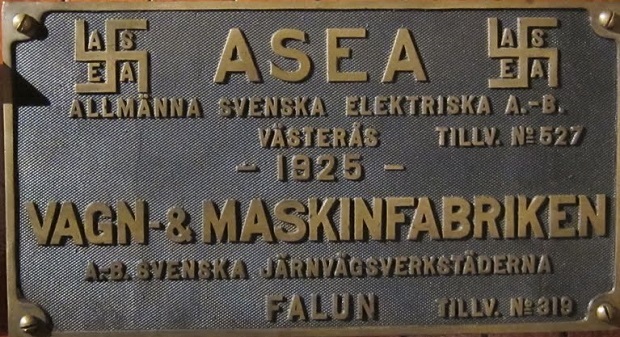 Logo of the Swedish industrial company ASEA (Allmänna Svenska Elektriska Aktiebolaget) until 1933. 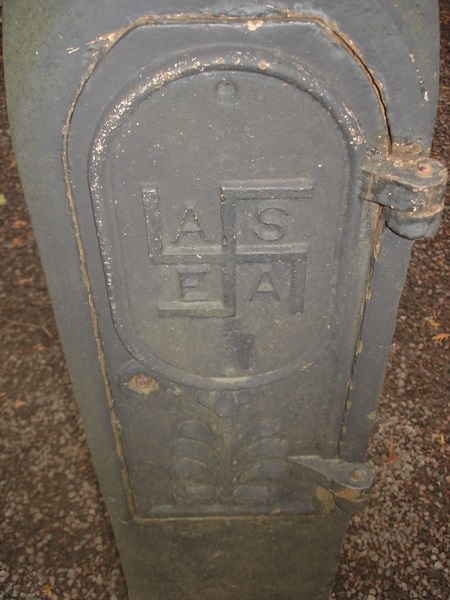 The company later merged with BBC (Brown, Boveri & Cie) to form ABB (Asea Brown Boveri). 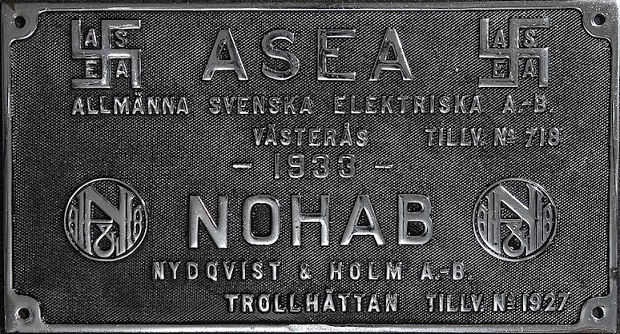 Above is plate on electric locomotive, D101 from 1925, one of the exhibits in the Swedish Railway Museum (Sveriges Järnvägsmuseum) in Gävle.